Whether you’re a new parent or a veteran one, you know that yelling usually makes a situation worse – not better – yet somehow it still happens. Sometimes it happens a lot. You’ve probably had more than your share of moments wondering how to get kids to listen. When we yell, our kids tune us out. If they don’t tune you out, then the look in their eyes is heart-breaking. They are scared and unsure what you’re going to do. Yelling takes place once we’re extremely frustrated. Usually, because no one is listening, right? Right. So let’s talk about how we can get kids to listen so it doesn’t get to the point of yelling. Leave your ideas in the comments! When it comes to getting children to listen, it’s mostly how you say things rather than what you’re actually saying. However, I’ve found that using positive words instead of negative ones will yield the best results. For example, instead of saying “no running”, say “walk, please”. Or, you can say “walking feet only, please”. Focus on what you want them to do, rather than what you want them to stop doing. This is especially true with younger children. When you say “no running”, the image in their head will be of running. If you say “walking feet”, the image in their head will be of walking. Praise, praise, praise! A little praise goes a long way. When I notice that the kids are getting off track, I will offer praise – even if it’s premature. 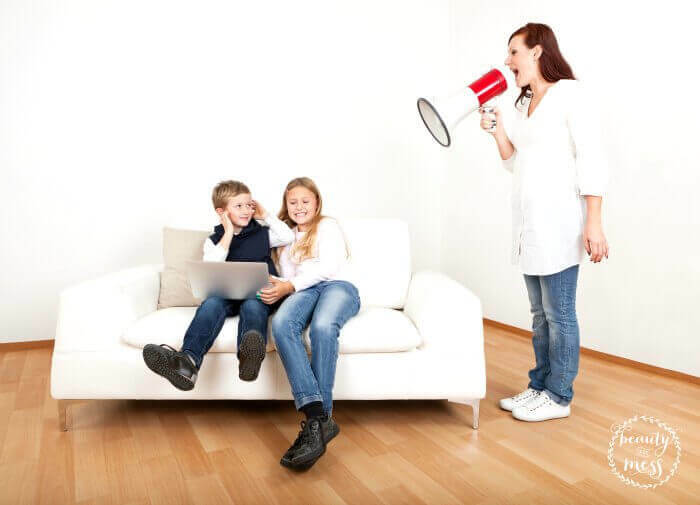 If you see that your little one is getting a little loud, say something like “I’m so proud of you for using your indoor voice! Thank you for being such an amazing listener!” Go way over the top with it, because kids love praise! 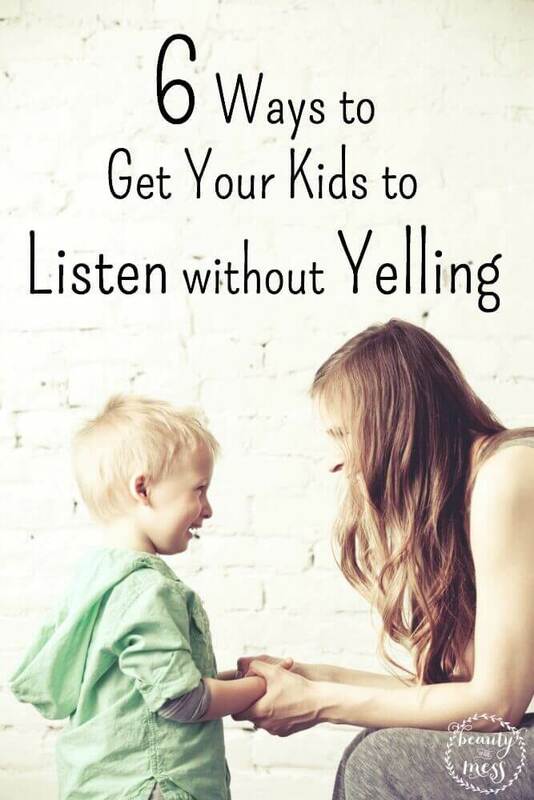 Using this technique will get your child on the right track to listening, much more than “stop yelling!” would. You’ll be surprised at how far praise will go when learning how to get kids to listen! Set limits ahead of time, and make sure they’re known. If you allow 30 minutes on electronics, set a timer for 30 minutes and talk to the kids about it as soon as they start playing. If you have one that is a bit difficult to get off the electronics, it’s a good idea to set a timer for 5 minutes early. Having a “countdown” of sorts sometimes helps kids deal with limits better. On that same note, make sure consequences are laid out and known ahead of time as well. If you have little ones, you may need to make a chart. Reward charts are great ways to encourage kiddos to listen while using positive reinforcement instead of only focusing on consequences. Put down your phone. I know. I know. But seriously. On the days when no one will listen, take notice of how often you have been on your phone. That one glance on Facebook that took 45 minutes. That email check that took two hours. Our children want our attention. While they would much rather have positive attention, they will take negative if that’s all we’re going to give them. Be aware. One last tip I have is to offer options rather than asking questions. Instead of saying, “Will you please pick your toys up?”, try saying “Please pick your toys up”. Instead of saying “Would you like peas with dinner?”, say “Would you like peas or carrots?”. Giving options you’re okay with is a great way to compromise while still getting the response you desire. At the end of the day, remember: don’t sweat the small stuff. It seems like life is crazy now, but kids grow up so fast! If you really want to know how to get kids to listen, just stop and think about how your words make them feel, the results will go a long way. What are some ways you stay calm and encourage listening? 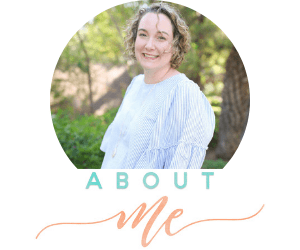 Don’t miss this great post about how to parent without saying the words “no”, “don’t” and “stop”. How amazing does that sound?! It is possible!! I am NOT a parent. I AM a retired elementary teacher. One thing I learned in teaching is… the best way to get their attention is to lower my voice way down like a whisper. It’s amazing how much they will pay attention to you then. I also want to voice my opinion about something… that something is using a cell phone or tablet when you take your children out to eat. My husband and I go to a famous store to eat breakfast every Monday morning. If it is not a school day it is amazing to see the number of tables with children and parents sitting together. It is even more amazing to see how many of those parents don’t look at or communicate with their children the entire meal. They do communicate when it’s time to leave. (Sometimes they are on the phone and give decorations just by pointing.) Of course there are exceptions to this, some of the adults eating with the children are grandparents, others are paying attention to their children. 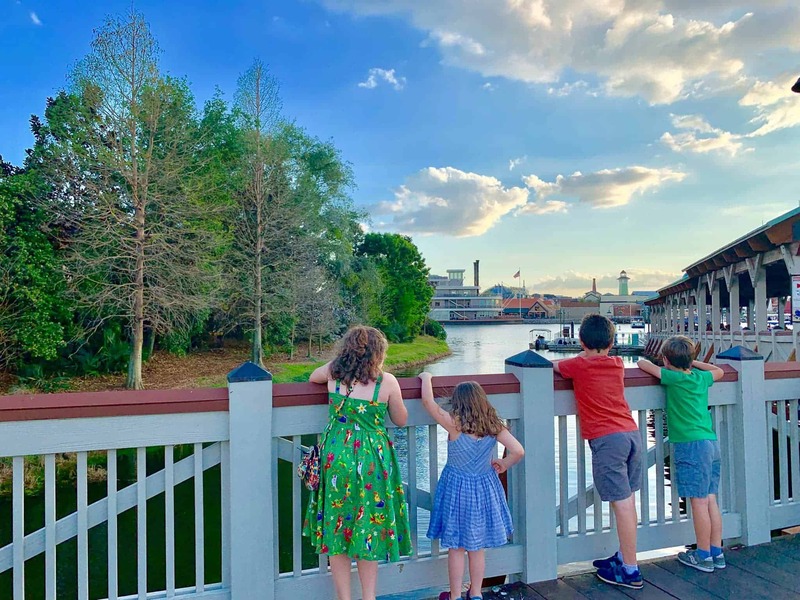 I am so proud of the parents that I see paying attention to their children that I often stop and tell them that I’m glad they were enjoying their child’s company. If only parents not paying attention to their children could understand that their children want their parents attention so much. Enough of that, thanks for lending me your ear. In your comment Carolyn did mean directions when they leave instead of decorations when they leave? On what you really meant to say. Saying silly or funny things when they’re not listening will also get them paying attention. So when you’re talking to them you can just change the subject say your funny or silly thing and continue on. It’s amazing to see how much they pay attention. I think many of us would be surprised to know how much they here. Of course they’re always listening when we tell them to leave us alone or go away or we just don’t want them to listen. I think you all know what I mean by that. Enjoy the kids when they’re kids because once they’re grown there’s no do overs. I need to stop thank you again. I would have liked to read this but orange on white is not easy on older eyes. Iam like always yelling at my just 5 year old kid. I feel sorry about it but I can’t help he just takes my patience away ……iam tired ……. We need about twenty days to get used to the new things. Children too! Not all kids are same. If trying above things don’t work, take professional help if you need to. Don’t shy away from it. The suggestions in the article are great. Please remember that parenting is a hard job! It can oftentimes be overwhelming so we need to take care not to add more. This is good to remember when trying new things. Pick one suggestion and try it for about a week. Adjust to fit you and your family or see if it even works for you. We create good habits this way and children can really benefit from the consistency. During such a difficult stage this advice is so great. So happy to have read this. Great ideas! Thank you for sharing! I have also found that focusing on proximity instead of volume is helpful. If I put an arm around their shoulders talk quietly, sometimes that helps. I’m a 2nd grade teacher and mother to 2 young boys and a step daughter. Thank you for the reminders…it’s all good stuff!! It’s hard not to get frustrated but nice to know everyone has these battles!! i am a mom to 6 kids I have 3 five year olds and a 3 year old and twins that r 2 and I cant get them to listen to me for nothing they think is funny to drive me to my breaking point expecaly at bed time and nap time. I don’t have the time to take time for myself no one wants to watch 6 kids under 5 I’m a my breaking point with them and need adivice on how to get them to listen I want to be able to enjoy my kids but right now I feel like all I do is yell at them then at night once they r all asleep after going back and forth telling them to go to bed I lay in my bed crying asking myself where did I go wrong on of my 5 year olds has adhd and we think my three year old has autism and he acts like he don’t understand what I am trying to tell him at all. please I really need adivice . After reading your story, I want to offer my help in just watching your kids for an afternoon, so that you can take some time for yourself! I’m a mom of two, and I find that to be tough much less how you must feel! I try to get my child to be calm. Most time he isn’t listen when he is in active play. So I call him and politely tell him to sit beside me. Before I begin talking for the 2year old I try to go down and establish eye contact. I also call his name first and establish his attention before talking. Any tips on while in the car? my 6 year old twin boys frequently find something to disagree on and then result in punching and kicking each other. Cars seem to be the worst, don’t they?! I usually let my kids each take one toy to play with in the car. On trips, we have bags. When they start fighting, I’ve been having mine give me the toys and hold hands. It’s been working so far! But I know every family is different.